Your resistance training goals might be to build strength, muscle, athletic endeavor, or weight loss. If you've been working out regularly and you're ready to progress, techniques like pyramids and supersets could be for you. Just note that they can get tough. In brief, supersets are sets of weight training exercises done sequentially with no rest in between. The absence of rest essentially defines supersets. Pyramids involve starting low and finishing high, or starting high and finishing low, with an increased or decreased weight loading. Bodybuilders may be the main audience for these techniques, but you will develop strength and muscle with the hard work. So if that's your goal, it's a smart approach. There's nothing too definitive about supersets when it comes to detailed instruction and the results you can expect. Too few measured studies are available. Bodybuilders tend to swear by super setting for muscle growth. For weight loss, the extra work and intensity in a superset workout is known to increase energy expenditure during the session, and also after the session as excess post-exercise oxygen consumption (EPOC). Supersets also increase lactate production compared to traditional sets, a sign the muscles are working very hard. These conditions tick the boxes for muscle growth—metabolic overload and lactate production. There are two primary variations of supersets. First, you can superset one exercise that hits the same muscle group (agonist)—say bicep curls and hammer curls. Or you can superset the agonist muscle group exercise with an exercise that targets an opposing muscle group (antagonist). For example, alternating chest and back exercises. You can add variety by juggling with compound and isolation exercises and light and heavy sets first and second. Or you can alternate between upper and lower body exercises. 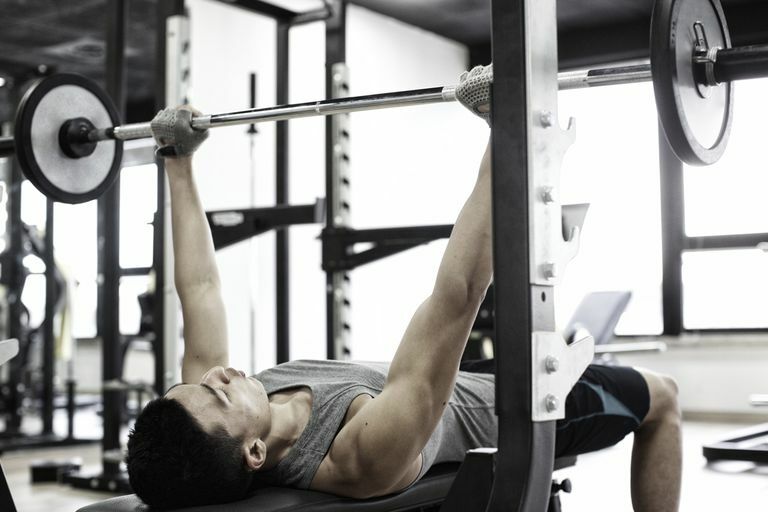 Agonist sets mean you hit the same muscle group or groups with both exercise sets. And of course, there is no rest between supersets, so you will work very hard, sometimes to near anaerobic exhaustion. An example of this is working through dumbbell arm curls followed by cable arm curls. The other type of basic superset, the antagonist set, hits opposing muscle groups. An example is leg extensions for the quads and leg curls for the hamstrings. When you use this type of superset, you do not get the same degree of stress to a single muscle group as you would with agonist sets. Antagonist sets might still be good for workout variety, energy expenditure, and time-saving, but they don't meet the performance criteria for muscle building that agonist sets do. A heavy exercise followed by a lighter exercise (pre-exhaust) is the first approach to this type of superset. An example is 10 squats at 150 pounds followed by 10 leg extensions at 100 pounds with no rest in between. Doing a light exercise followed by a heavy set (post-exhaust) is the second option. An example is 10 bent-over rows with 25-pound dumbbells followed by Romanian deadlifts at 150 pounds with no rest in between sets. You can mix up isolation exercises with compound exercises or do both isolation or compound exercises for both sets. Be warned, though, that two supersets of compound exercises like leg presses and squats are heavy. Use a spotter when you can. Pyramid training is a stepped approach to sets and repetitions. A "pyramid" means big at the bottom and narrow at the top. A "reverse pyramid" means big at the top and narrow at the bottom. In other words, you start heavy and gradually decrease the weights or reps, or you start light and gradually increase the weight or reps. You can also include both in an extended set. Supersets and pyramids are called overload systems. If you create metabolic stress in muscle tissue, it will grow bigger. However, this type of training does not hit the sweet spot for strength increases. Strength requires neuromuscular activation, which responds best to heavy loads, low reps, and sufficient rest between sets. That's what will make you stronger. Overload training is best done only two to three times a week and never in daily succession. Part of the protocol is to let stressed muscles heal and strengthen. Once each week may be best for beginners. A warm-up should include light aerobic exercise and mild stretching for 10 to 15 minutes. A cool down may help to reduce muscle soreness in the hours following exercise. Pyramid and superset training can make you sore, so cool down with light stretching, calisthenics, with some modest aerobic work or foam rolling. J Strength Cond Res. 2010 Apr;24(4):1043-51. The metabolic costs of reciprocal supersets vs. traditional resistance exercise in young recreationally active adults. Kelleher AR, Hackney KJ, Fairchild TJ, Keslacy S, Ploutz-Snyder LL.